The term Function Fittings provides information about the product. There is a pneumatic “Function” and the product as an optional push to connect tube “Fitting”. Function Fittings are right angle products with a male thread and a banjo that has a female thread or push-to-connect fitting. 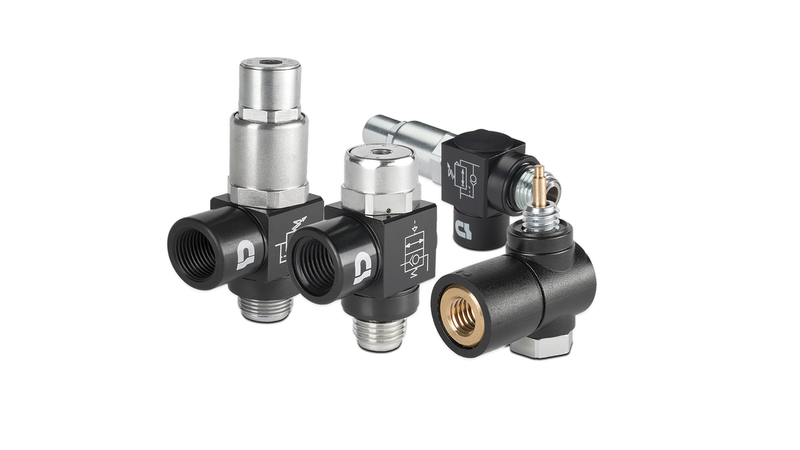 nass magnet offers two pneumatic functions which are regulators and pilot operated check valves.